How To Install Unity 2D In Ubuntu 11.04 "Natty Narwhal"
The Unity UI in Ubuntu 11.04 will runi in only hardware capable of 3D acceleration. That leaves out quite a lot of users who uses Ubuntu because it can run quite well on less powerful machines. Moreover, some graphics drivers (the ATI proprietary driver) has problems with Unity. If you fall in either of these categories, there is another option for you to experience Unity. Unity 2D has been developed specially for the machines which are not able to run Unity (or rather Unity 3D). 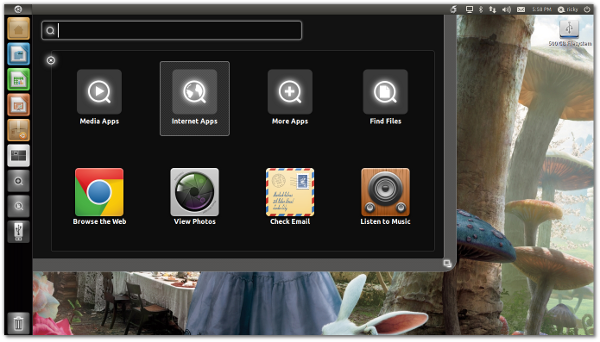 If your hardware is unable to run Unity 3D, it is the closest you can get to experience Unity in Ubuntu 11.04. Unfortunately, Unity 2D does not come pre-installed in Ubuntu 11.04. It uses the normal GNOME 2 desktop as the fallback if the hardware cannot run Unity 3D. So you will have to install it manually. After the installation has been finished, log out and in the login screen pick Unity 2D from the drop-down (up?) menu and login. Now you should get Unity 2D as your desktop.